Learn about life at New Jerusalem Lutheran Church. Our Faith Foundation, What We Believe, our rich History in Loudoun County, and more Spiritual Resources. New Jerusalem Lutheran Church exists because of dedicated members and staff that help keep our mission close to their hearts. Meet our staff members here! Our faith is rooted in our church, our community and how those connect to the rest of the world. Together we worship, serve, learn and grow in the Lord, volunteer, create outreach projects and programs, study the bible and teach our children about our faith in Christ Jesus. Read more. Find information about our adult bible classes, Sunday School and other resources including access to our sermons and our weekly flyer, Taking Faith Home. Read more. New Jerusalem Lutheran Church is part of the ELCA, the Evangelical Lutheran Church in America. The ELCA Is a relatively young organization, which began with a merging of three separate Lutheran church groups in the late 1980s. Now, the ELCA has more than 4 million members in 10,000 congregations nationwide. Read More. We love getting together to celebrate life, faith and our community. To see our documentation of events and gatherings, click here. 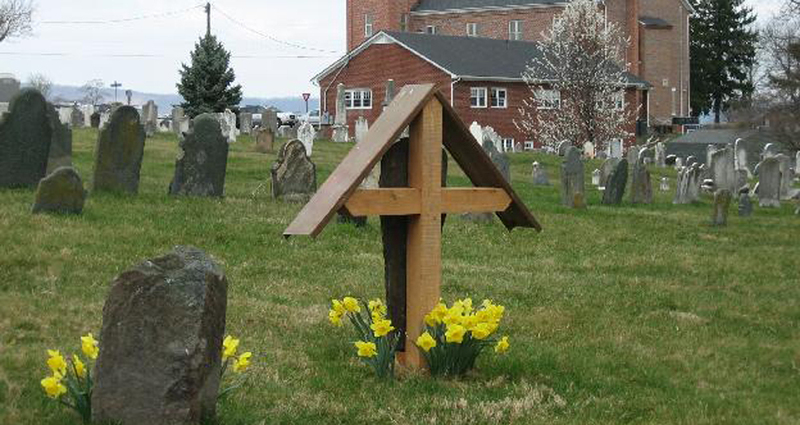 2015 marks the 250th Anniversary of New Jerusalem Lutheran Church. Founded in 1765, our church is the oldest ELCA church in the Metropolitan D.C. area. To learn more about our rich history, click here. Be sure to check out our History Minute each Sunday during the service, and read about our Minutes here.